Cisco ASA 5585-X Adaptive Security Appliances are tailored to meet the high performance needs of mission-critical data centers and provide peace of mind with Cisco guaranteed coverage. 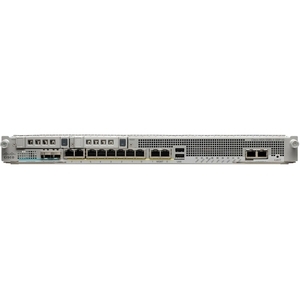 Supporting the highest VPN session counts and twice as many connections per second as competitive firewalls in its class, Cisco ASA 5585-X appliances meet the growing needs of today's most dynamic organizations. The appliances combine the world's most proven firewall with the industry's most comprehensive, effective IPS, offering the most effective security solution in the industry to significantly decrease business risk and address regulatory compliance - all in a compact 2-rack-unit footprint.